Avocados provide healthy fats that keep blood sugar and hormones balanced. This is the key to hunger and craving control, all-day energy and an uplifted mood. Avocados are rich in anti-aging, liver-detoxifying antioxidants including glutathione and vitamin E.
A quarter to half of an avocado per day is all you need to reap all the amazing benefits! An easy way to incorporate avocado into your diet is in a smoothie! Our Get Glowing Superfood Smoothie contains avocado to fight fine lines & wrinkles, improve hair & nails and reduce cravings! Purchase it in our Kitchen Market Monday – Friday, 9am – 6pm. 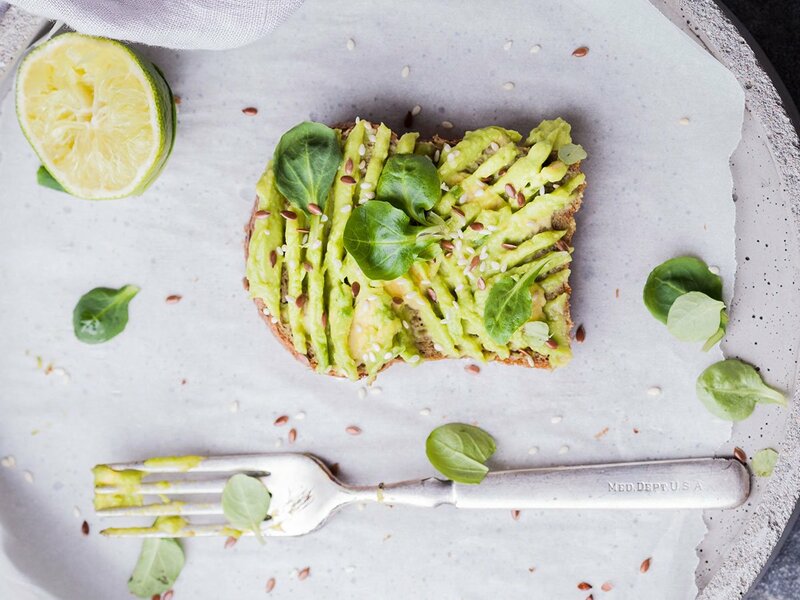 Want to learn more on the importance of incorporating healthy fats like avocado in your diet? Check out The Anti-Inflammatory Diet Lunch & Learn. Classified as a fruit, avocados are lumped together with bananas, mangos and pineapples—but this tropical fruit is one that you can feel good about eating! Low-fructose avocados contain only one gram of sugar and up to 10 grams of soluble and insoluble fiber per cup. 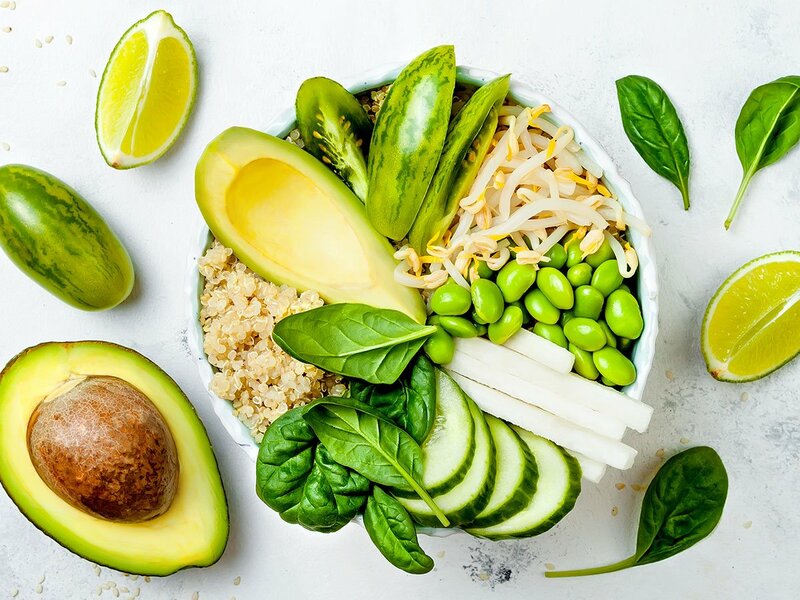 In addition, avocados are rich in heart-healthy fats—and a high intake of fat and fiber combined with a lower sugar intake is essential for satiation, energy, mood and hormone balance, and craving control. Unfortunately, fats get a bad rap, but they are essential for many functions within the body including vitamin absorption, hormone production and brain power. Contrary to popular belief, fat does not make you fat, carbs and sugar do! Although fats provide more calories per gram than carbs and protein, they play an important role in balancing insulin levels. By balancing insulin, you stabilize blood sugar, which is the key to hunger and craving control, all-day energy and an uplifted mood. The benefits of avocados extend far beyond their fat content. They contain a healthy dose of bowel-regulating fiber and are packed with vitamins including wrinkle-fighting vitamin E, bone-strengthening vitamin K, immune-boosting vitamin A and brain-boosting B vitamins. They also contain a good amount of minerals, most notably copper, magnesium and potassium. Half of an avocado provides 17% of your daily recommended intake of copper, which is necessary for a well-functioning metabolism, energy production and strong, healthy bones. According to medical doctor and naturopath Dr. Carolyn Dean, magnesium is responsible for up to 800 different functions in the body including calming the nervous system, keeping the heart healthy and balancing blood sugar levels. Potassium is an important electrolyte that helps hydrate the body, balance blood pressure and decrease water retention. Natural health advocate Dr. Joseph Mercola highlights that an avocado has more than twice the potassium in a banana! Moreover, avocados are a great source of antioxidants, compounds that help protect the body from free radical damage caused by toxins in the environment, medications, highly processed foods and stress. Glutathione, the body’s most potent antioxidant, aids in liver detoxification, immune health and cancer prevention. The antioxidant lutein protects against age-related eye disorders and supports brain function by enhancing memory and learning. Vitamin E also acts as an antioxidant that helps prevent or delay the chronic diseases associated with free radicals. Avocados can easily be incorporated into your diet, as they are applicable in both sweet and savory preparations. Beyond guacamole, avocados can be blended into smoothies, sauces, spreads, and dressings to thicken and add creaminess. Alternatively, they can be used as a topping for toast, salads, soups, chili and stews. They make a great first baby food that is certainly more nutritious than many prepackaged varieties. Short on time? Cut an avocado in half, top it with a sprinkle of sea salt and enjoy in spoonfuls for a healthy snack. Craving something sweet? Combine avocados with raw cacao powder, nut milk and a little maple syrup for a healthy chocolate mousse in a flash! 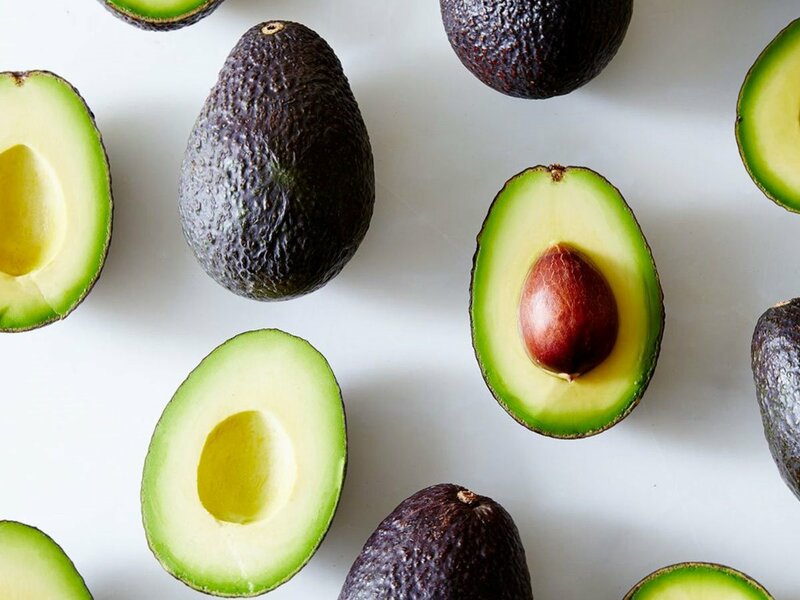 If you were a previous avocado skeptic, hopefully we have you convinced otherwise. Avocados are a true superfood that can be used to curb cravings, balance hormones, drop pounds and make food taste a whole lot better. Just remember, a little goes a long way—a quarter to half of an avocado per day is all you need to reap all the amazing benefits!